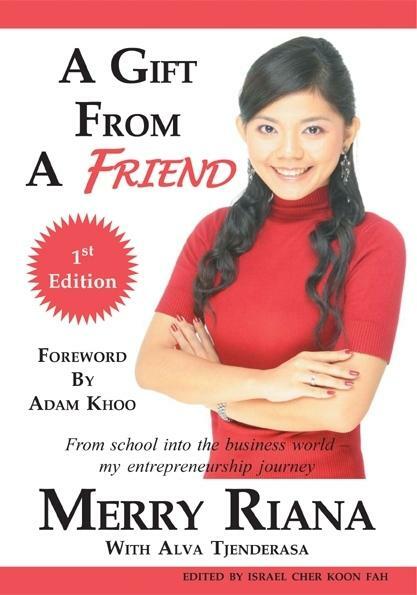 Merry Riana is a 30-year old Indonesian entrepreneur, best-selling author and motivational speaker residing in Singapore. At the age of 26 years old, 4 years after her graduation, Merry became a millionaire through her financial services business. And has since clinched countless awards and accolades. In her book, Merry shares with readers her entrepreneurial journey and how it all begun. But more than just a rags-to-riches story to impress, this book provokes one to live beyond the widely-accepted and usual route of living a life of a 9-to-5 employee. Merry weaves in a couple of key principles she practises that has produced success for her and shares them to her readers. For instance, she encourages readers to pursue a dream or goal in the name of love. For her, she did it in order to give her family a better life. And her stand on integrity and exercising gratitude in life. She also explains on the power of association which states how we become like those we spend the most time with. And she encourages her readers to have as many friends as possible but to choose their peers carefully. For our key associations have great influence over our lives. Overall, her book is easy-to-read and down-to-earth which inspires and challenges one to consider living life more dangerously in order to achieve personal goals and financial freedom. But as easy-to-read as it is, the lessons of this book might be easily forgotten due to its presentation of contents which borders on being messy. Nonetheless, this book is for everyone and makes a good introduction to the journey of entrepreneurship! Who should read it: For aspiring entrepreneurs.